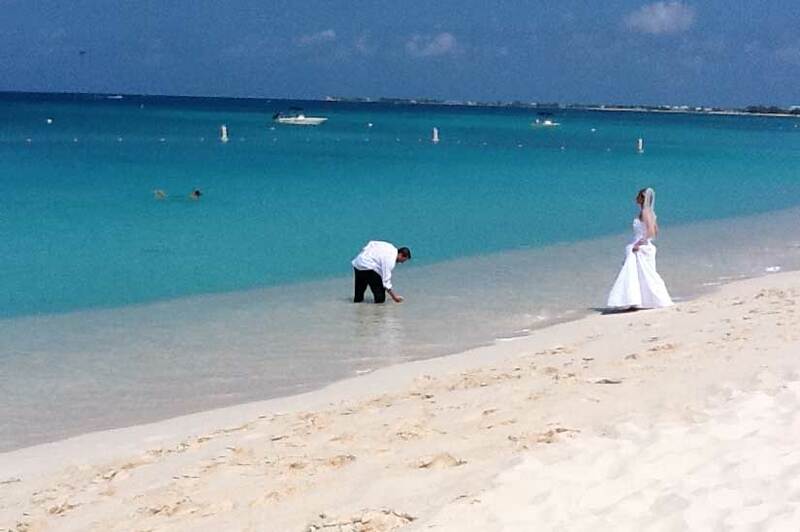 You are here: Home / About Us / Getting Married in Cayman? Do This First. Before you do anything else, you must secure the services of a licensed Marriage Officer. There are more than 90 Marriage Officers in the Cayman Islands. Most of these are Ministers of Religion. There are three Civil Registrars of Marriage in the Cayman Islands. Two of these are on Grand Cayman, Mrs Joy Basdeo, MBE JP, Notary Public and Mrs. Francine Jackson of Cayman Weddings. Cayman Weddings no longer officiate cruise weddings, they are available for afternoon weddings only. My clients often ask me whether they can go down to the marriage bureau and get their own Special Marriage License, to save money. There is no advantage to this, as Simply Weddings does not charge for this service. As part of your wedding package, all our overseas clients are sent a Registered Marriage Certificate from the Cayman Islands government at no extra charge. This is your legal marriage certificate, and it will be mailed to you within 3 working days of your wedding. Whoever you chose as your Marriage Officer, make sure they get your Registered Marriage Certificate for you. Do not accept only a hand-written record of your Cayman Islands marriage, from your Marriage Officer. While it is legal under our Marriage Law, you will need an official government issued Marriage certificate when you get back home. If you intend to get married in the Cayman Islands you will need to suppy me with certain documents. The first document is an official application form. This form will contain all the information I need to advise you on your Cayman Islands wedding. I will require a deposit of $250 to hold your date and time. The balance on your Cayman Islands wedding package will be due the day of your wedding if you are a visitor. My clients often ask me what makes my company different from other companies in Grand Cayman who specialise in visitor weddings. Simply Weddings stands out because we specialise in simple, elegant, personalised and affordable beach weddings for couples and small groups. We offer non-religious ceremonies to suit your lifestyle and your relationship. We work with you to personalise your ceremony and we give our visitors a souvenir wedding script which contains the order of ceremony and the words you have said to each other. If you are looking for a meaningful, beautiful wedding ceremony in any of the three Cayman Islands, call Simply Weddings first. We are surprisingly affordable.